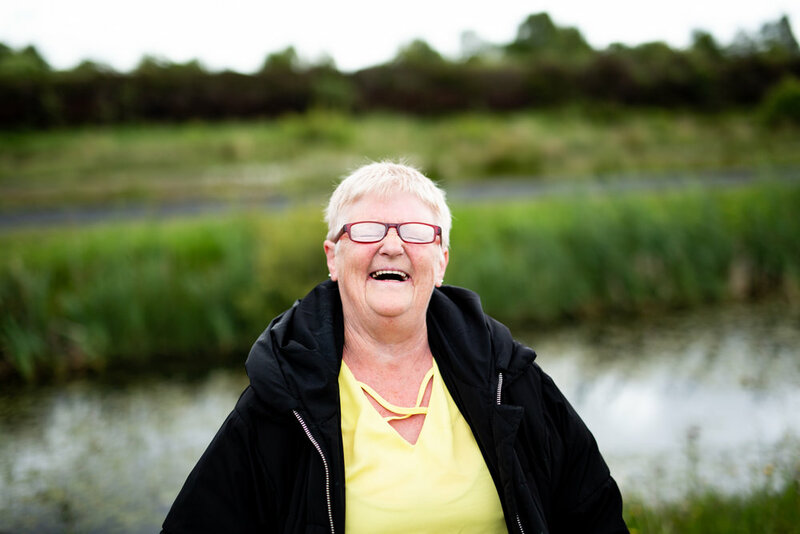 ‘Eyes on Boora’ is a culmination of two experiential photography workshops which took place in Lough Boora on 9th and 16th June 2018 and were guided by Visual Artist, Aisling O’Rourke. The workshops, which were inspired by the HSE’s #littlethings positive mental health campaign, enabled participants to join with others in embracing nature and gain an understanding of it’s natural benefit for the mind and body through the camera lens. Participants on both days engaged in a mindful experience of meditation and discussion and were encouraged to connect with their surroundings and with each other. The aim was to take photographs that would illustrate the beauty of nature and highlight its benefits to overall mental health. The photographs created as part of these workshops including a series of portraits, now form ‘Eyes on Boora’, an exhibition which will be launched in Tullamore Library on Thursday 6th September at 6pm. The exhibition will then travel to Libraries throughout Offaly. Local and national celebrities were happy to support and participate in the initiative and some had fun being photographed amongst the flora and fauna of the Boora parklands – to be revealed at the exhibition! The images reflect insight, creativity and an imaginative photographic eye and are a beautiful reminder of Offaly’s unique landscape. In addition to producing their works of art, the participants stood for a series of portraits highlighting the importance of positive mental health as a community. Their positive experiences were reflected in some of their comments such as: ‘‘A nice group activity, meeting new people”; “Excellent support from strangers and other participants”; ”New friendships made. A feeling of not being alone”. The workshops and the exhibition is funded by the HSE, Offaly Local Development Association, Birr Mental Health Association and Offaly County Council and is organised under the auspices of ‘Offaly Minding our Mental Health’ - a group of statutory and community organisations who come together to promote and support mental health and recovery. Click here for more information on ‘Offaly Minding our Mental Health’.